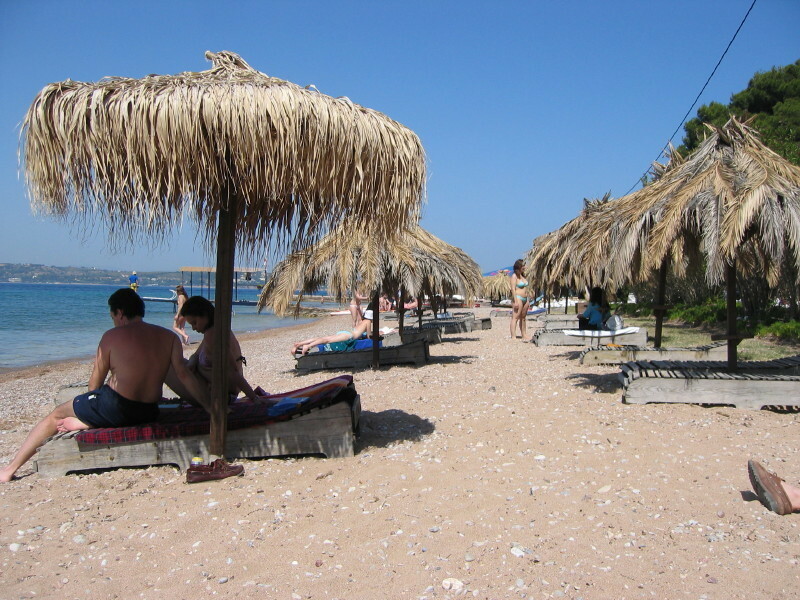 Kaiki Beach, is also known as 'College Beach', due to its proximity to Anargyrios College. It has a third name, as it is also known to the locals as 'Scholes'. 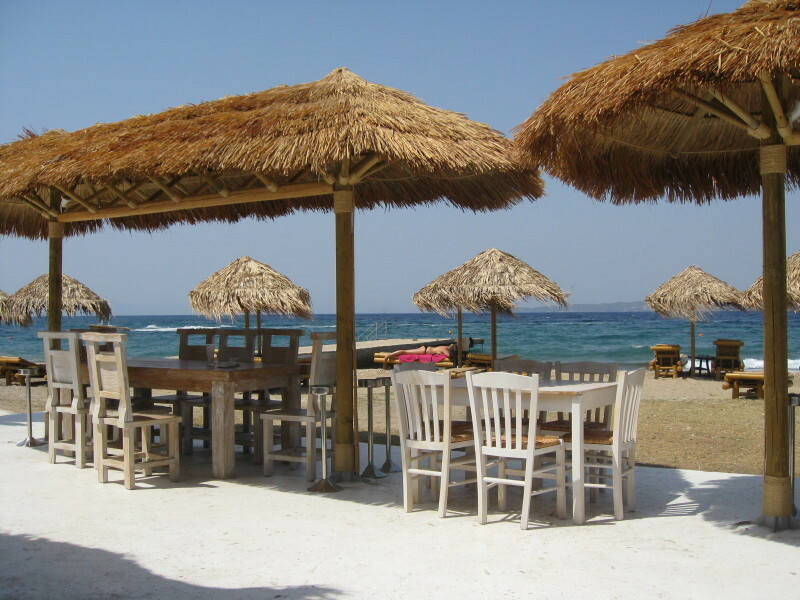 It is located on the main road heading west around the island and sits directly in front of Anargyros College. 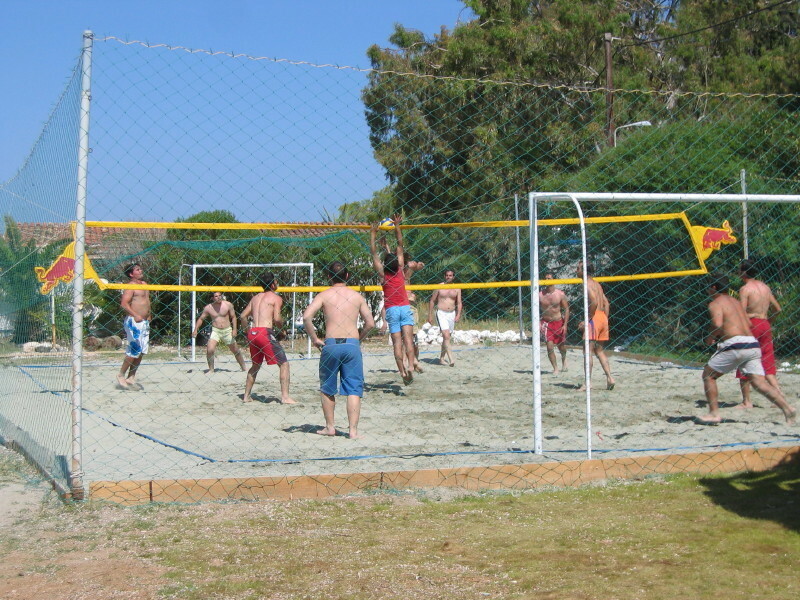 There are beds and umbrellas on this now-sandy beach, with a well-stocked bar, and a wide selection of water-sports, including a beach volley court, which is very popular with the young Greeks. The water sports office or 'headquarters', is a disused caique (hence the name) that sits on the beach close to the road. 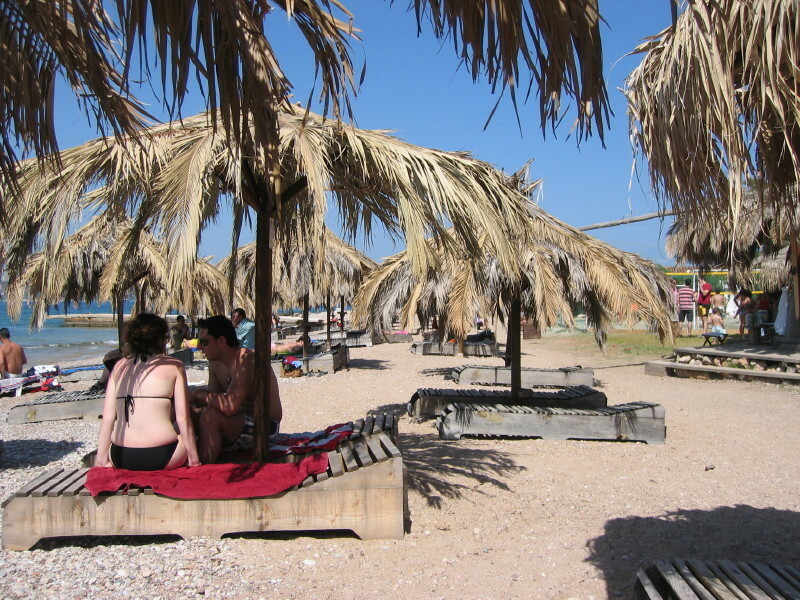 To the right hand side (facing the beach) is an excellent taverna too. 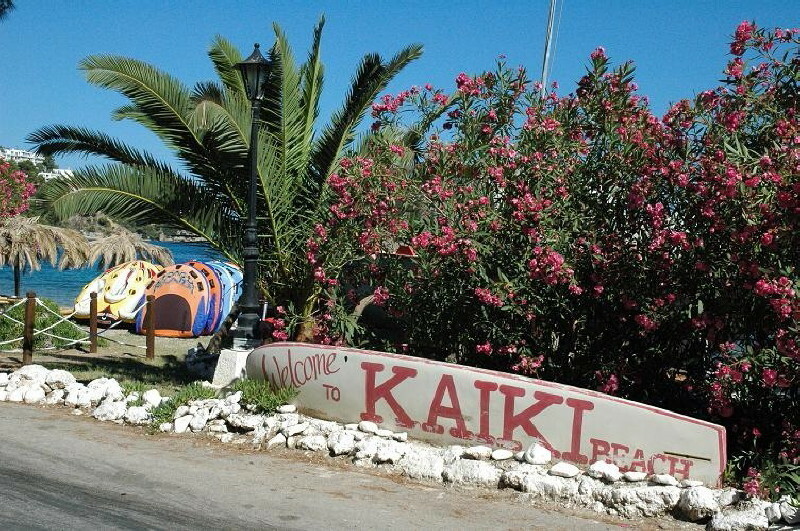 Getting to Kaiki Beach: Ist stop on the bus from the Poseidonion Jetty; moped; bicycle; horse buggy from the Poseidonion Jetty; car taxi; water taxi; on foot from the town - around 20 minutes walk.